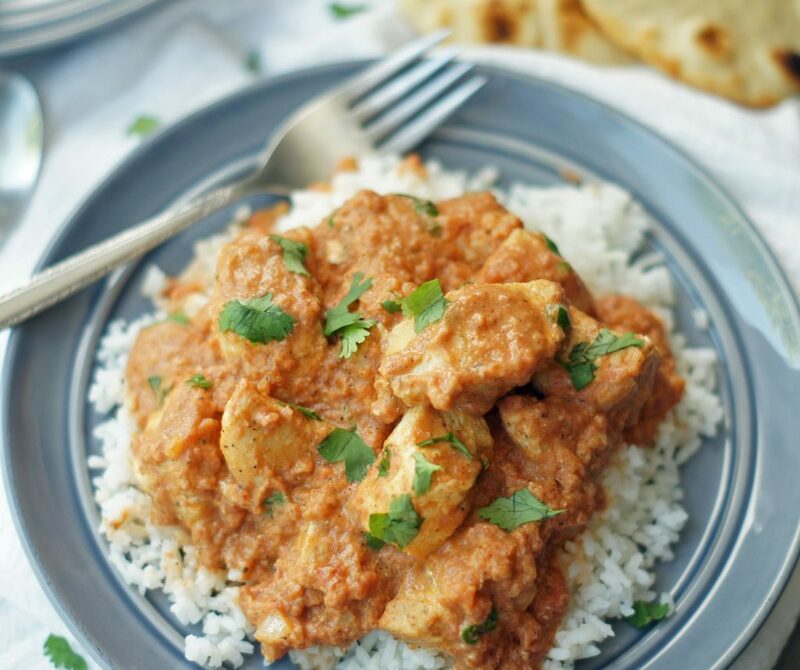 Chicken pieces cooked in a lightly spiced tomato cream sauce, this Skillet Chicken Tikka Masala comes together so quickly and is incredibly delicious! Simple, delicious and quick. Three of my favorite words when it comes to dinner. 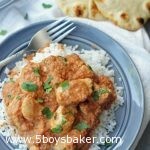 This Skillet Chicken Tikka Masala falls right into those categories, and it’s devoured by my boys every time I’ve made it. Now for the record, when Braydon devours something, I know it’s good because this is my child who doesn’t like raspberries (gasp!!! ), strawberries, or peaches (just to name a few things). My husband and I love Indian food! 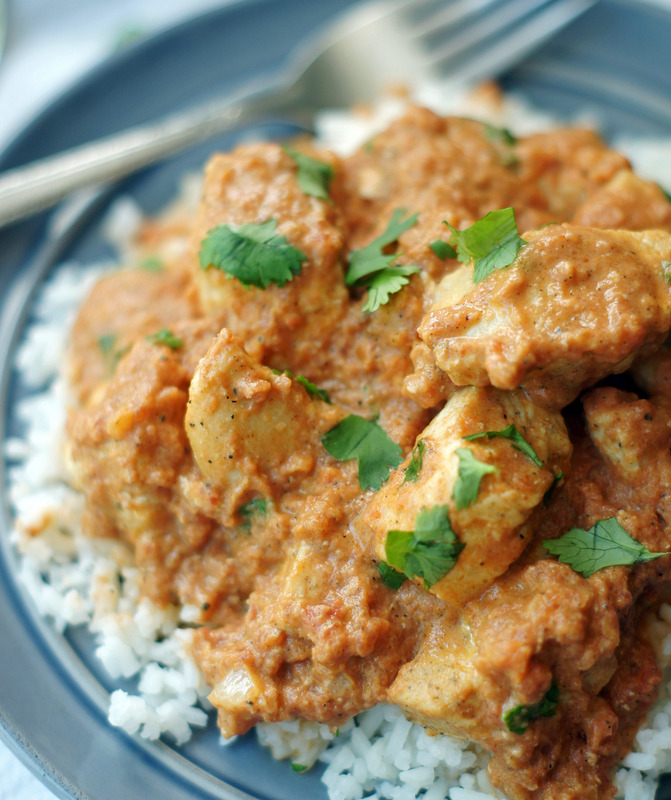 Tikka masala is an Indian-inspired dish that usually calls for a long list of ingredients and a long marinating time. This skillet version tastes amazing! It comes together so quickly without having to run to the store to buy a list of ingredients you don’t have and probably won’t use again. It does call for garam masala, which is easily found down the spice isle at grocery stores. It’s an Indian spice blend that gives a subtle warmth of cardamon, cinnamon and cloves. . .I love it! Recipes like this are life-savers when it’s 4:00 in the afternoon and you need to come up with something that’s quick. There is little prep work involved here (yay!). This stuff is seriously soooo good. I could eat it weekly and be completely happy. 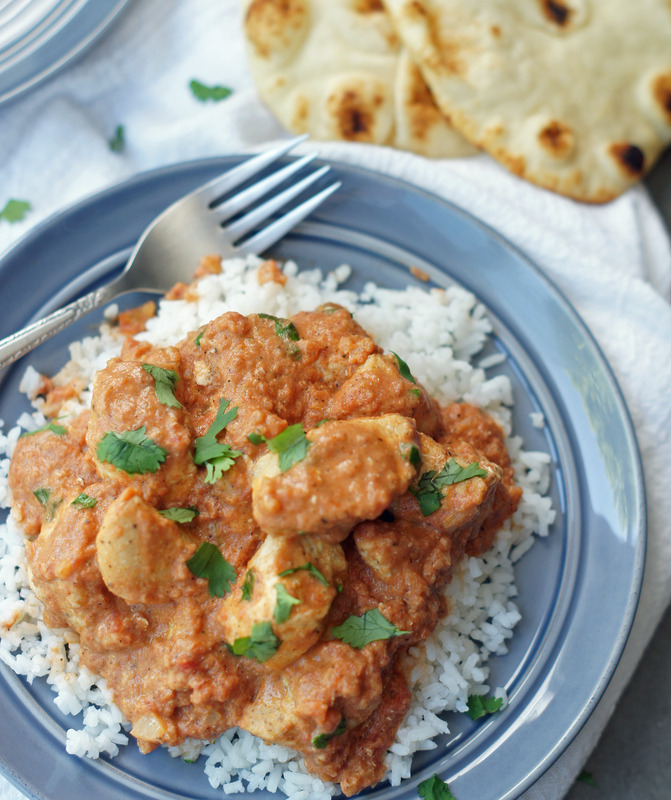 Serve it over rice along with some naan bread and oh my heck you will be in love! Pulse the tomatoes in a food processor or blender until coarsely ground. Pat the chicken dry then season with salt and pepper. Add the oil to a large skillet set over medium-high heat. When the oil is hot, add the chicken and cook until lightly browned on all sides, about 5 minutes. Remove to a plate, cover with foil and set aside. Reduce the heat to medium and add the onion, about 5 minutes, or until softened. Stir in the garam marsala, garlic and ginger and cook just until fragrant, about 30 seconds. Add the tomatoes and bring the mixture to a simmer, reduce heat, cover and cook for 3 minutes. Stir in the cream and add cooked chicken pieces (and any accumulated juices) to the pan. Allow the sauce to simmer about 5 minutes. Stir in the chopped cilantro and season to taste with salt and pepper. Serve over rice. This looks awesome and I am making it for dinner tonight as I do have all the ingredients. I also love Indian food, but we never go out for it much. BTW, I made the grape ice cream yesterday. I had to do two batches which was easy as my maker came with two bowls. Oh wow, it really is delicious. Such an unusual ice cream flavor, but really yummy. We all loved it–thank you! Teresa, you will love this Chicken! 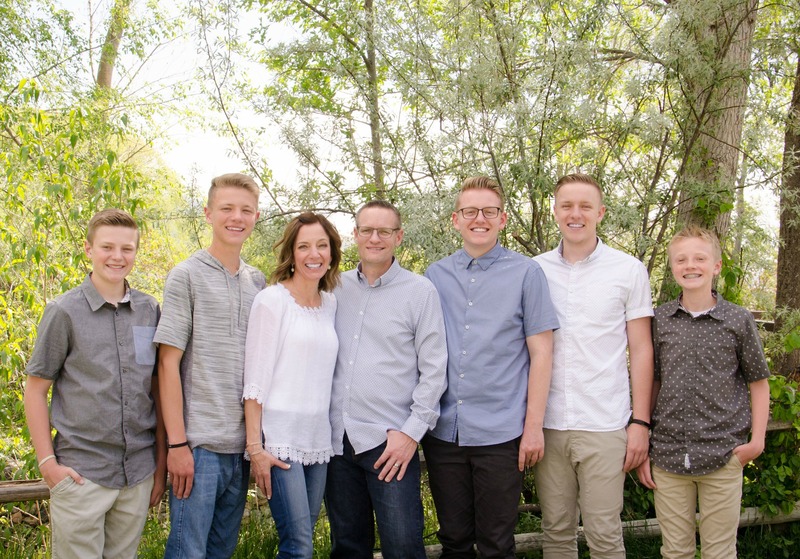 Honestly, we were snarfing it down. I’m so glad you loved the grape ice-cream. Like I said, it’s one of our all-time favorites. Let me know what you think about this chicken. Thank you! Hope you have a chance to make this! Well it was fabulous and so easy. I really loved the addition of the cream to make it rich and yummy. A great meal for a quick weeknight dinner–we all loved it, thank you!!! Thanks Teresa! Happy to hear you loved it as much as we did! I love quick dinners like this. I can’t believe how easy this was and how tasty! I have a way more involved recipe that I make, which is really good, but this was so fast and great! Thanks! Thanks Christine! We absolutely love this, even picky, picky Braydon devours it. It is super easy which is one of the reasons I love it so much. Which brand of garam masala do you use? I used Watkins brand, I bought it at Walmart I think.